WASHGINTON, D.C. — Cooperative Baptist Fellowship leaders joined representatives from a diverse group of faith organizations on Capitol Hill May 14 to launch a coalition to combat predatory payday lending, the short-term loans that carry in excess of 300 percent APR, trapping thousands of families each year in a cycle of debt. The birth of this new coalition, called Faith for Just Lending, comes as the federal Consumer Financial Protection Agency prepares to formally issue rules to rein in the predatory practices of the largely unregulated multibillion-dollar industry of more than 20,000 payday and car-title loan storefronts nationwide. George Mason, senior pastor of Wilshire Baptist Church in Dallas, Texas, calls for payday loan reform at a May 14 press conference on Capitol Hill. Members of the Faith for Just Lending include CBF, the Ethics & Religious Liberty Commission of the Southern Baptist Convention, National Baptist Convention, USA, Inc., National Association of Evangelicals, PICO National Network, National Latino Evangelicals Coalition, Center for Public Justice and the Ecumenical Poverty Initiative (formerly National Council of Churches Poverty Initiative). Individuals should manage their resources responsibly and conduct their affairs ethically, saving for emergencies, and being willing to provide support to others in need. Churches should teach and model responsible stewardship, offering help to neighbors in times of crisis. Lenders should extend loans at reasonable interest rates based on ability to repay within the original loan period, taking into account the borrower’s income and expenses. Government should prohibit usury and predatory or deceptive lending practices. With these principles for just lending, the coalition is urging churches, lenders, individuals and government to each do their part to teach stewardship, offer responsible products, use credit wisely, encourage just lending and put an end to predatory loans. The role of a pastor is to be a “shepherd of the sheep” and care for and protect the vulnerable in his or her congregation, said George Mason, senior pastor of Wilshire Baptist Church in Dallas, Texas, who represented CBF at the coalition’s press conference. The duty to care for and protect the vulnerable extends to the entire congregation and beyond, Mason added. CBF Governing Board member Steve Wells, who serves as pastor of South Main Baptist Church in Houston, Texas, and Chris Sanders, interim coordinator of the Kentucky Baptist Fellowship, also represented CBF at the coalition’s launch. Like Mason, Wells and Sanders have been outspoken advocates for payday loan reform in their respective states. Wells was a key voice in persuading the Houston City Council to adopt an ordinance to restrict predatory lending in 2013, and Sanders recently rallied a group of Cooperative Baptists to advocate for the Kentucky legislature to pass Senate Bill 32 to cap the annual interest rate on payday loans at 36 percent. The bill stalled in committee and never received a vote. “Payday lenders exploit the law in order to exploit the poor,” Wells said. “Payday lenders pretend to offer help and hope to people in crisis while their real product is a debt trap which has been specially designed to ensnare its victims for as long and as great a cost as possible. That is not a loan, it is a lie. Their model is not capitalism but victimization. 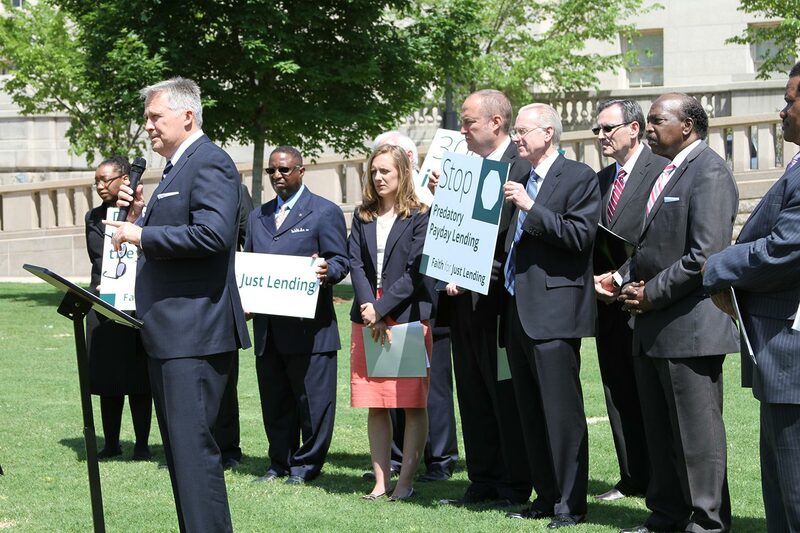 Faith for Just Lending will help Cooperative Baptists working for payday loan reform to form together and be more effective advocates, said CBF Associate Coordinator of Partnerships and Advocacy Stephen Reeves, who has provided important leadership to this new coalition. 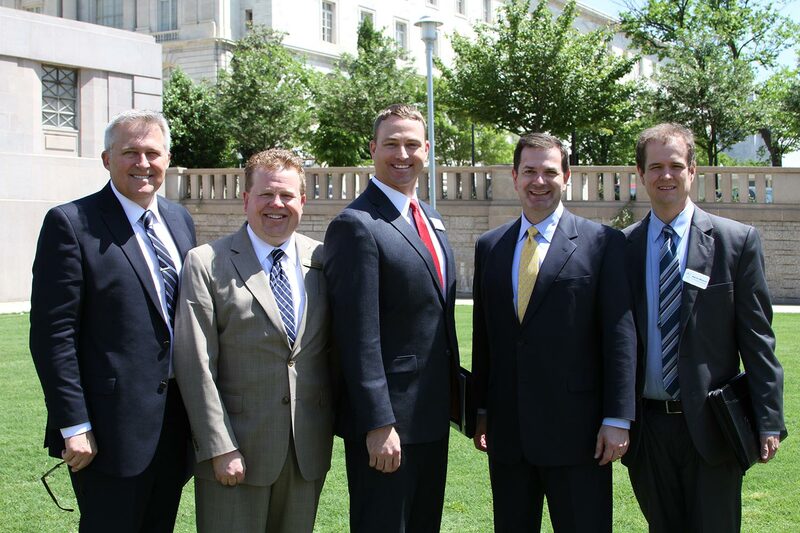 “While CBF’s advocacy efforts are still young, many CBF pastors and churches have been fighting predatory lending in their communities for years,” Reeves said. “In states like Texas, Louisiana, Alabama, Kentucky and Missouri, Cooperative Baptists have been key members of statewide coalitions bearing public witness to the harm these loans have done to financially vulnerable families. To learn more about Faith for Just Lending, visit www.lendjustly.com. CBF is a Christian Network that helps people put their faith to practice through ministry eff­orts, global missions and a broad community of support.The Fellowship’s mission is to serve Christians and churches as they discover and fulfill their God-given mission.